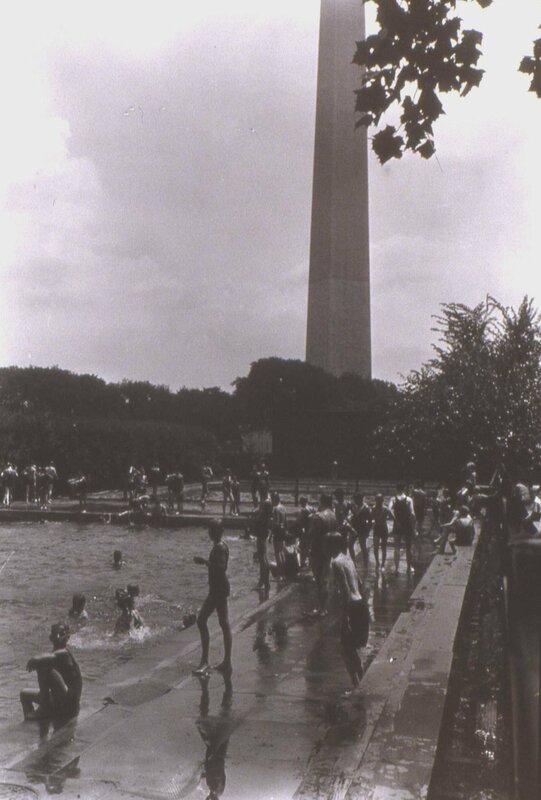 Orren R. Louden, “City swimming pool and Washington Monument in distance,” Histories of the National Mall, accessed April 22, 2019, http://mallhistory.org/items/show/173. These swimming pools were built between 1907 and 1910 on the site of the US Fish Commission hatching ponds. In addition to the pools there was a building with showers and changing rooms. The pools were removed in 1936. The Historical Society of Washington, DC. View original.